If you are one of the many who is faced with a glut of tomatoes in your garden about this time of year, making tomato sauce to put away for the rest of the year is a great solution. Even if you don't have your own, if you have access to some really tasty locally grown tomatoes it's not a bad idea to stock up on them. 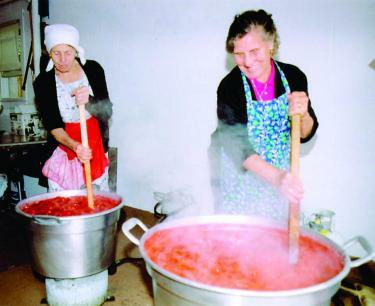 There is nothing better in the middle of winter than the taste of real tomatoes when all that's available in the grocery stores are the tasteless versions. 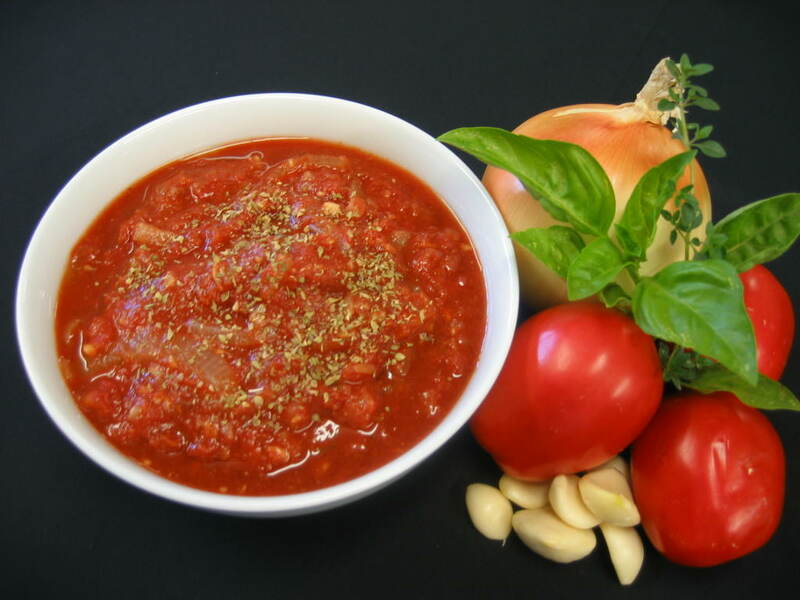 You can use this sauce for pasta, gnocchi, eggplant parmesan, pizza, stews, soups and many different casseroles. And it makes a great base for mixing with many different kinds of vegetables. This recipe makes enough for approximately 8 - 2 cup freezer containers or jars. If this is too much for you the recipe can be halved or even quartered. Yes, I know this is a lot of ingredients, but count yourself lucky you don't have to cook as much as these ladies! 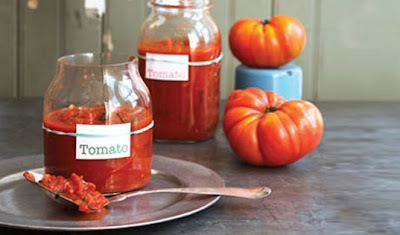 Wash the tomatoes, remove the cores and green spots, and chop them coarsely. Put in the largest cooking pot you own. Simmer for 2 hours, stirring every 15 minutes or so. 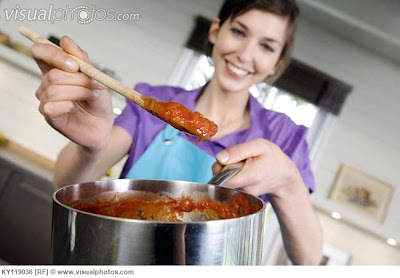 Add the rest of the ingredients, turn onto the lowest heat, and simmer until the sauce has cooked down by half. This will take quite a bit of time so you need to do it when you're at home. You can however turn it off if you need to go out and then continue cooking once you return. 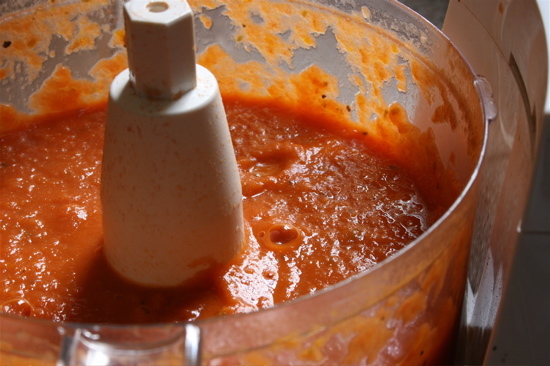 For a smooth sauce, once it has thickened, puree a few cups at a time in your blender or food processor. 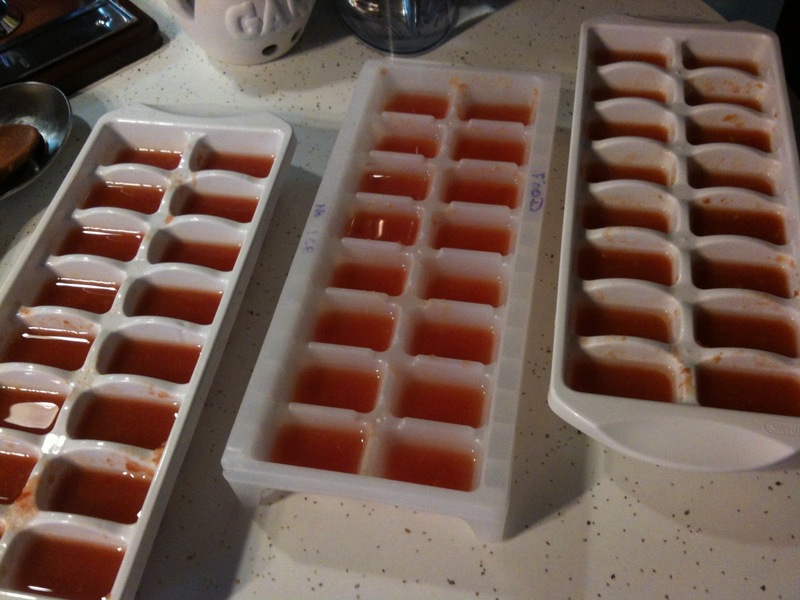 If you are not making too big a batch, you can freeze your sauce in ice cube trays and then store in your freezer in a Ziplock bag. This is especially handy if you only cook for one or two. 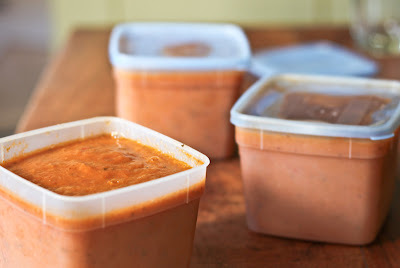 Otherwise you can freeze the sauce in large square containers that will stack in your freezer and give you more room. If room is not an issue, you can also freeze in covered glass jars. Regardless of what container you use, remember to leave about half an inch at the top for expansion. Tomorrow I'm going to give you a few quick and easy recipes for using this tasty sauce in your everyday meals.